Q: What is the fate of the Transformers at the end of the trilogy? Q: What happens to Motherships after the battle? Q: What happened to Jolt? Didn't he survive in the last movie? Well, lets get a quick look at the film. Explosions, CGI, 3D and after these comes everything else. These three things are the main reason why one should watch Transformers: Dark of the Moon. We all know who Mr. Bay is and what his movies are famous for: explosions, explosions, explosions and destruction, destruction, destruction. Plot has never been his strongest feature, but hey, and i am being totally honest here, it works well enough, at least for me. All i wanted to see was a typical Michael Bay movie, something like Armageddon or the first Transformers, and what i got was a pleasant surprise. So, before watching the movie its probably not a sin to say that we were certain of one thing: it couldn't have been worse than Revenge of the Fallen, which, lets be honest, was pretty atrocious. This time we've got plot linked to Moon and Apollo 11, which was clever and worked well for the movie, decepticons taking over the world and turning Chicago into something we're used to see in The Terminator movies and autobots with their human allies resisting them. Oh, and what we don't have is Megan Fox. Thank God for that. The new female lead, Rosie Huntington-Whiteley has one task: be pretty and well its safe to say that she succeeds at it, no one expects her to deliver an award-winning performance, but she did really good (it's her first film by the way) and she fits in the movie and with Sam very well. Anyway, the film is much bigger and more serious than the previous ones. This time we've got emotion and character, which maybe has something to do with, again having Steve Jablonsky and Linkin Park for soundtrack. Iridescent which is played at some points creates an excellent aura. All this decepticon destruction and "drawing the bigger picture" motive provides us with more seriousness and depth. 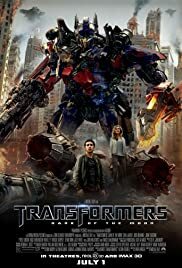 So all in all, Transformers: Dark of the Moon was an awesome watch. It could be for anyone, if only one goes to watch it for the right reasons (needlessly to say explosions, CGI and 3D). We've got fast pace, a lot of visuals, romance, a lot of mayhem and well, a moral (presented heavily with clichés but, hey, no harm). 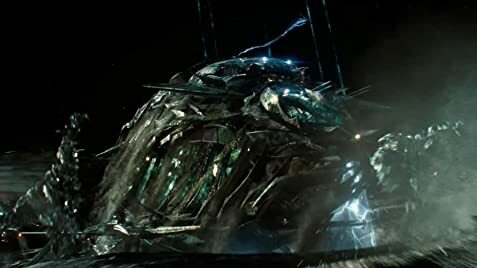 All of which are vital components for a solid summer blockbuster and a clear head to define Transformers as something more than meets the eye. Just sit back and expect a fun and adventurous ride and you won't be disappointed. 28 of 48 people found this review helpful. Was this review helpful to you?